Oh Bar Refaeli, you make it all just look so easy with your maxi dress, Birkenstocks and a simple chambray shirt wrapped around your waist. 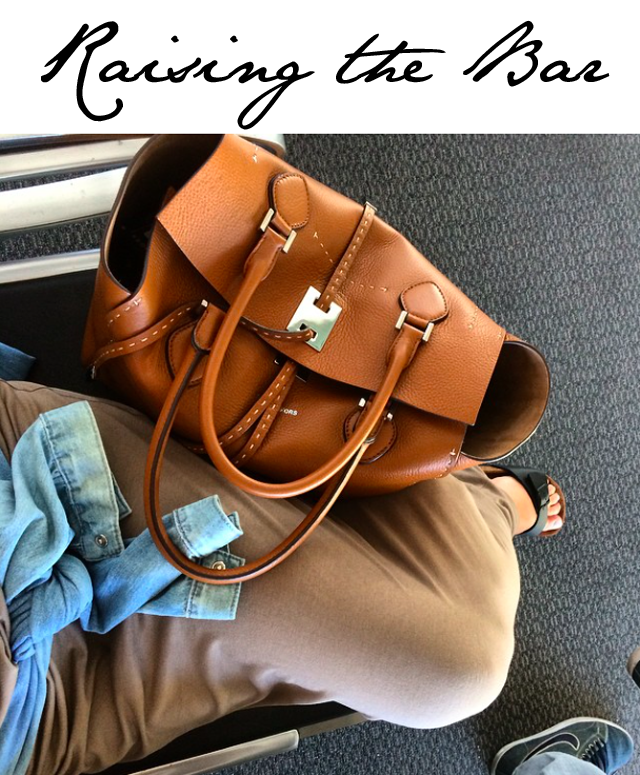 While I love your easy breezy beautiful travel style, what I'm staring down at the moment is that big beautiful leather you are toting as your companion. Bar took to instagram this morning to share the pic above with the statement, "Ready for my vacation #sun #sea #smiles." Yes, even supermodels need a break from their super fabulous lives, people. But, again, we're not here to talk about Bar and her uber-fabulous existence. I'm focusing in on that bag. The bag in question is a Michael Kors creation. It's called the Miranda bag. Consider yourself officially introduced.